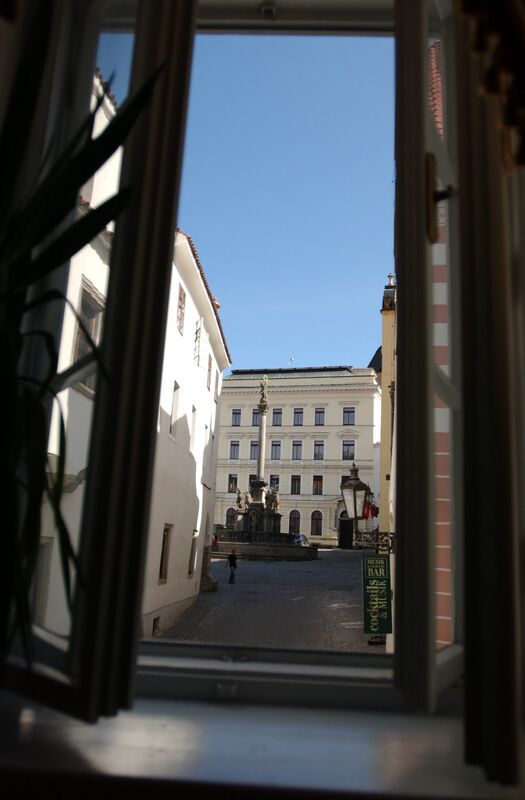 The Hotel Leonardo is part of a chain of professional hoteliers from Austria. 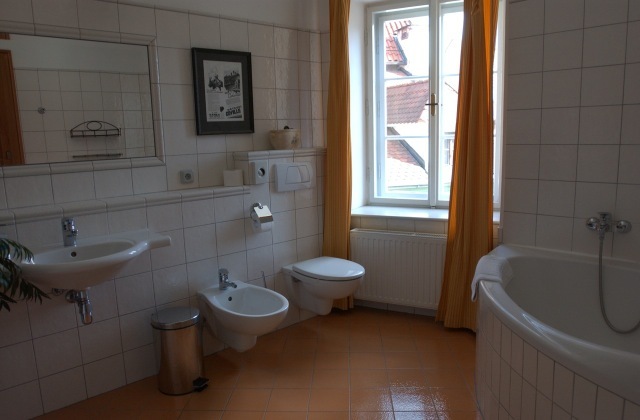 They have tastefully reconstructed three different properties in the center of the historic town of Česky Krumlov. While there are many other rooms for rent in this beautiful town, in our opinion none come up to the level of comfort or attractive decoration. Each room is unique, and feels as if you are in another time. 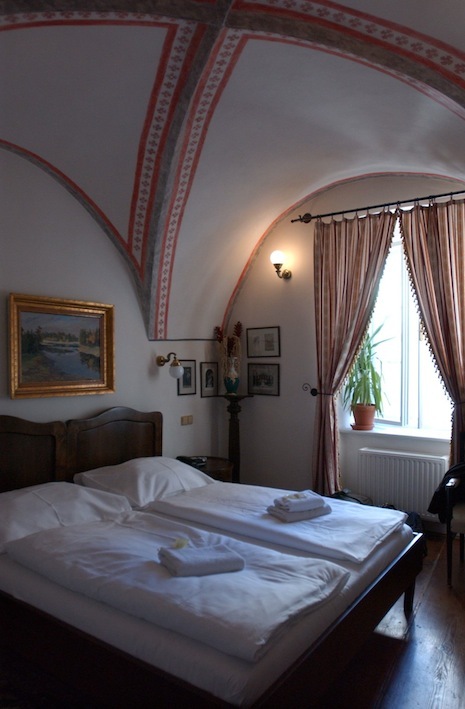 From the painted ceilings, historical artwork, antique furnishing, and peaceful atmosphere, the Hotel Leonardo will feel as though you are the guest of some wealthy Burgher in this town. Besides charm, the comfortable beds, along with spotless, fully equipped bathrooms (including toiletries) are bound to impress even the most experienced travelers. In addition, the hotel has a computer in the reception area, as well as wireless internet (WiFi) throughout. The buffet breakfast is also one of the highlights, with fresh rolls, cheeses, yogurts, pastries, eggs, bacon, sausages and juice. In the case of special diets, it is also possible to request gluten free. It is really far beyond many of the other services that you might expect in a small provincial town. The staff and management of all the properties belonging to Krum Invest get our highest praise. 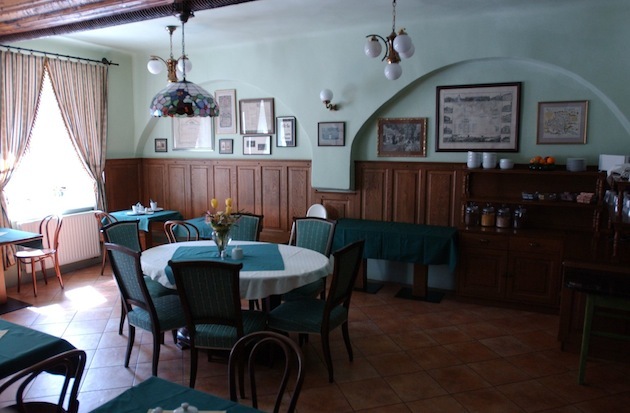 This is one of only a few hotels outside of Prague or Vienna where we can actually say that you will not notice the difference in the level of services, or attention to detail. We highly recommend a 2-3 day visit Česky Krumlov from Prague, or as a transfer to some other destination (Passau, Salzburg, Vienna, etc.) including 1 or more nights at the Hotel Leonardo. 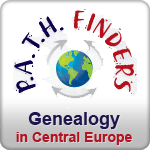 This could very well be the highlight of any trip to Central Europe.